Pay Yourself First (Not the Bill Collectors). When your gains compound, you can become financially free. 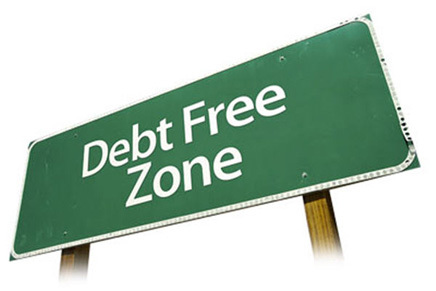 When your debt compounds, you are enslaved by your bills. Do not wait until you get out of debt to start saving and investing. You will never get out of debt if you do not increase your assets and income. Start now. Hard Assets vs. Paper Assets. In a world of credit risk and inflation, safe, cash-positive hard assets are desirable. Your paper money will buy less in the inflation years to come, whereas your home, income property or even classic car could become more valuable. Always buy at a reasonable price – which is entirely possible today when most things are on fire sale. Bonds are not safe in a world of credit risk and inflation risk. Don’t take on extra risk for a few extra points in yield. Understand the carrying costs of any investment and do a sober analysis of the credit risk, interest rate risk and default risk. Read the fine print of any document, including those from banks and credit card companies promising you a high-yielding “savings” account. FDIC-insured is key for any savings account. Always keep a percentage equal to your age safe. Diversify the remaining funds by size and style. Add in hot industries. Avoid the Bailouts. Bonds: Credit Risk & Interest Rate Risk. Bondholders may think that they are safe because interest rates are at rock bottom and the Federal Reserve has just promised another year of that – through mid-2013. However, credit risk is heightened today, as are defaults and downgrades. In the worst case scenario, you lose a significant portion or your principal in bankruptcy negotiations. Your money could also become illiquid for the time of the bond. The good news is that the U.S. can print its own money. The bad news is that when that happens, the value of your dollar decreases. It’s not likely that the U.S. will go out of business. It is likely that it will cost more to buy less in the years to come. The world is very interconnected, and there are a lot of flashy salesmen trying to earn commissions on your fear. The truth is that investing in currencies is a risky business that many pros avoid. Additionally, software that boasts of 88% accurayc (with the word misspelled) aren’t telling you that only 2% of those using the software actually make money. It’s hard to get a loan today. Credit standards are high. However, with very low interest rates and pricing in the U.S. that is back to 2002 rates, real estate could be a great investment. You must do a sober analysis, however. This can add diversification to your nest egg and could also be a way of adding in hot industries. However, there are risks. For instance, in some countries, the election of a new President creates the risk that corporations will be nationalized. Know the risks and balance the amount of exposure that you take on. Rebalancing your nest egg 1-3 times a year is critically important. If you were doing this, you would have captured your gains at the high in NASDAQ in 2000. You would have made money in real estate in 2005. You would have doubled your money on Australia and Latin America funds in 2009. And you would have limited your losses in the Great Recession to less than 20%!